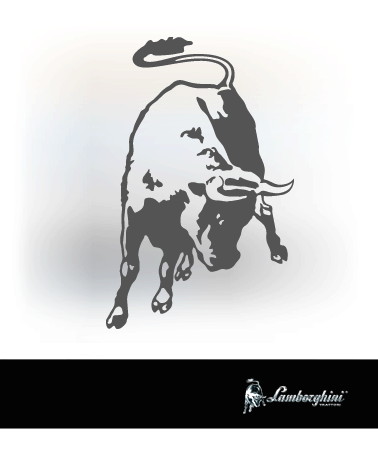 The CV is a highly manoeuvrable tractor that offers the perfect solution to any possible need even in the most challenging conditions.Crawlers have played a key role in the history of Lamborghini Tractors. 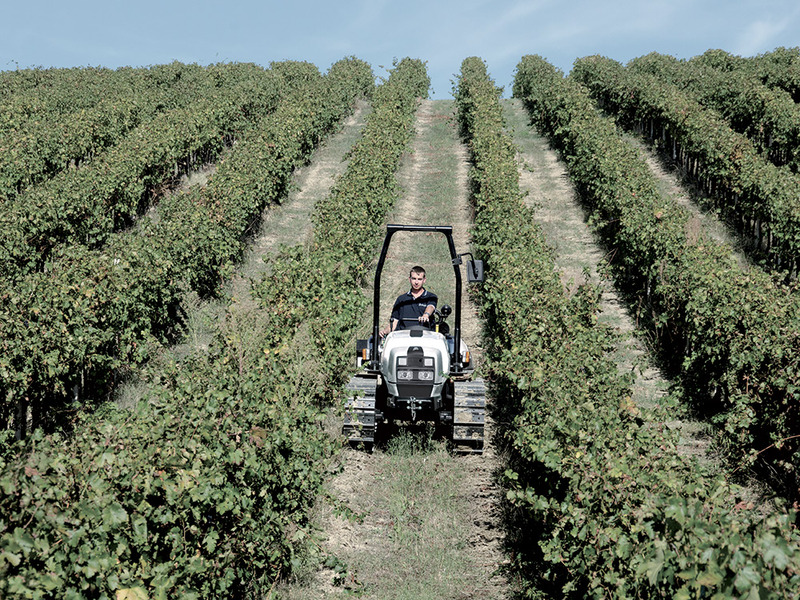 Over the years these tractors have evolved in conformation and technology to become hard-working tools with innovative style and impressive performance which can tackle different types of vineyard every day easily and comfortably. Every aspect of the tractor is designed with minute attention to detail to minimise the overall dimensions of the tractor, for maximum productivity even when working in the most restricted spaces. The track chains run on four flanged bottom rollers designed to withstand high axial loads. The specially designed profile of the pinions ensures even chain wear for extended durability; while the spoke configuration of the pinions prevents the build-up of mud and soil, protecting the machine against damage. 3,000 cc Euro III Turbo Intercooler engines: tireless performance even when faced with the toughest task. SDF high pressure injection system (one of the most advanced in existence today), “Powercore” air filtration system and programmable engine speed function.The electronic governor ensures immediate responsiveness and greater reliability.Superb performance matched by outstanding comfort, with minimised engine noise. Offered with a mechanical transmission with eight plus eight or twelve plus eight speeds and a synchronised power shuttle, CV crawlers manoeuvre smoothly for maximum productivity even under very high load. A generously sized central clutch and a dedicated radiator to maintain constant oil temperature also ensure constant productivity in all conditions. The steering and brakes are controllable individually for each crawler track from the pedals or levers on the dashboard. Three speed PTO (540/540ECO/1,000) with manually engaged clutch . 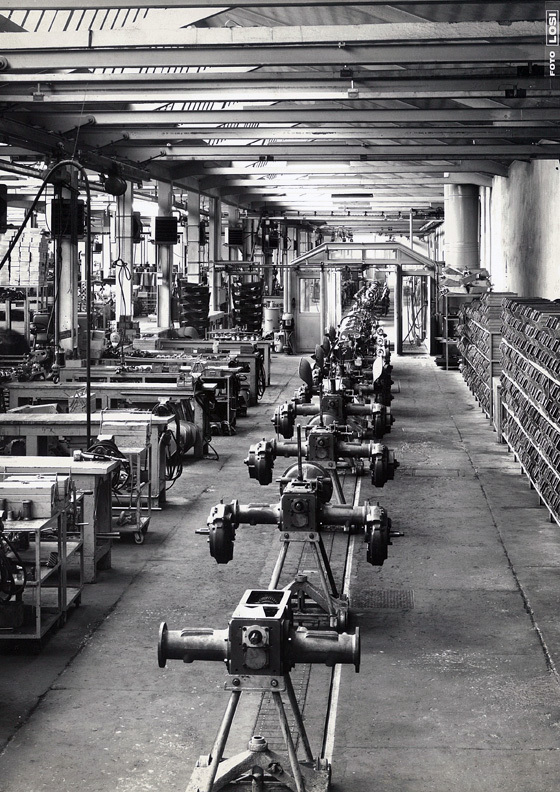 The main circuit feeds the lift and the auxiliary distributors, while the secondary circuit (with an 18 l/min pump as standard, or with a delivery of up to 52 l/min and five auxiliary distributors as an option) feeds the brakes, the steering and PTO, as well as providing lubricant oil flow for all the transmission components.Mechanical rear lift with draft and position control and three point linkage, available as standard or Heavy Duty variants to cater for all possible applications. The platform is mounted on four silent-block rubber mounts which absorb vibration and noise to improve driver comfort.The controls are clearly and functionally laid out, while anti-glare screen of the instrument panel is clearly legible in all light conditions.Grab handles and the slip-proof finish of the floor make access to the driver seat safe and simple. 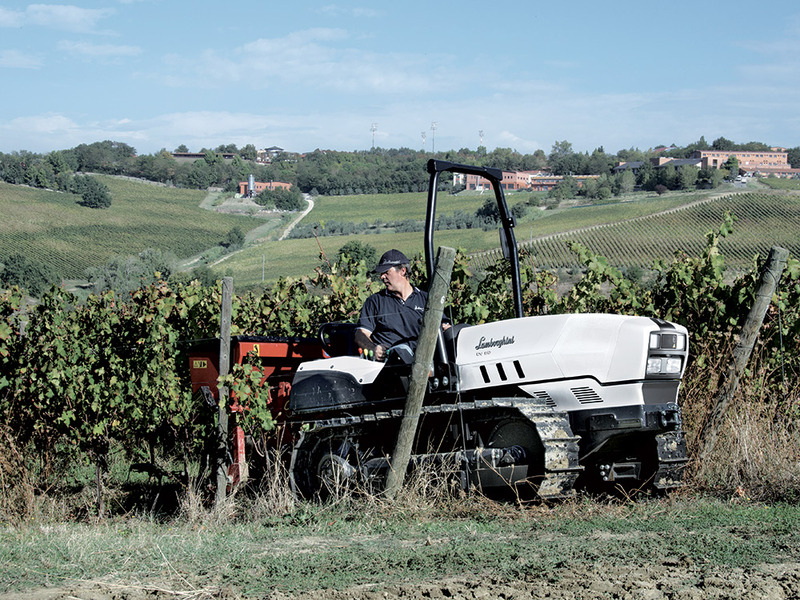 Agile and compact in size, with a total footprint of just 1.18 m and a track chain width of 280 mm, this is the ideal tractor for working in restricted conditions such as the inter-row spaces of a vineyard.The short wheelbase (1.41 m) and narrow platform (560mm) make this an incredibly practical and agile tractor. Ideal for vineyards of all sizes and for negotiating narrow passages, with a track chain width of just 310 mm.The lowered positions of the driver seat and tanks keep the width of the crawler down to 11,279 mm. 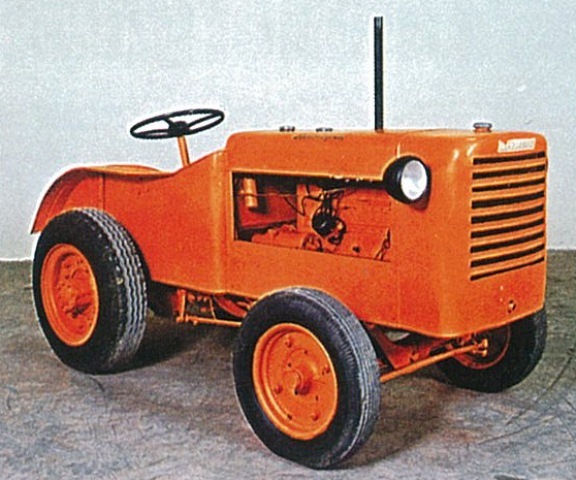 A narrow platform of just 560 mm in width and a short wheelbase of 1.430 m make this the definitive specialist tractor. Ideal for hilly terrain and steep gradients, the M version of the CV has track chains the same width as the N version (360 m track width available as an option), but a wider platform (760 mm) and a longer wheelbase (1,575 m), with a total vehicle width of 1,434 m. With its low centre of gravity and the size of its tracks, this crawler can keep on going in any terrain conditions, and tackle even the steepest gradients where wheeled tractors simply cannot go. While retaining the same compact construction of the CV, and the same track and platform dimensions as the M, the L variant features a widened track for a total overall width of 1,602 mm, for increased stability and less risk of slippage.